Prime Minister Shinzo Abe on Saturday expressed high hopes for the second U.S.-North Korea summit slated for later this month. 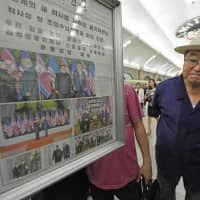 “I hope that the second summit between the United States and North Korea will lead to the resolution of North Korea’s nuclear and missile programs, and, above all, the critical issue of Japanese nationals abducted to the country decades ago,” Abe told a meeting held at the Liberal Democratic Party’s headquarters in Tokyo. U.S. President Donald Trump and North Korean leader Kim Jong Un are slated to meet in Hanoi on Feb. 27-28. Their first summit was held in Singapore in June last year. Chief Cabinet Secretary Yoshihide Suga, who doubles as minister in charge of the abduction issues, took part in a separate meeting Saturday in Tokyo on the topic. 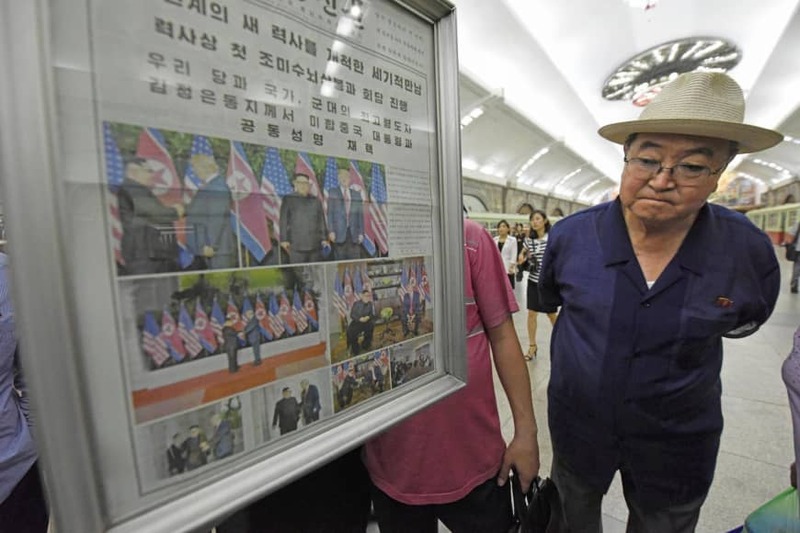 “We’ll make all-out efforts to realize the return home of the abduction victims while continuing to work closely with the United States and other countries,” Suga said. The meeting was also attended by Tokyo Gov. Yuriko Koike.